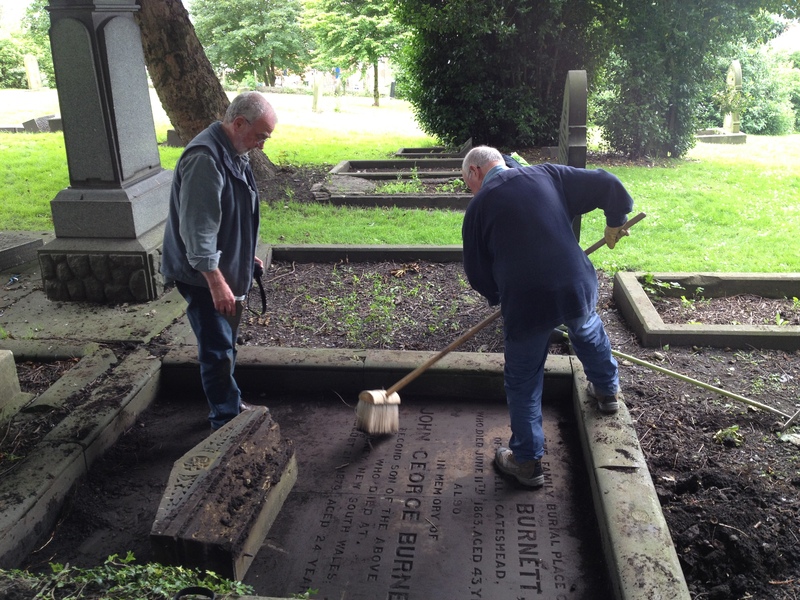 Last week our graveyard volunteers uncovered a new gravestone which had been hidden for years under soil and undergrowth. who died June 11th 1863. Aged 43 years. We are now trying to find out some more information about this family. Why were they buried in Benwell when they were from Gateshead? What was John George Burnett doing in Sydney? What happenend to the rest of the family? If you know anything about the Burnetts please get in touch!